Alpines: These are the rugged tough plants of the plant world. 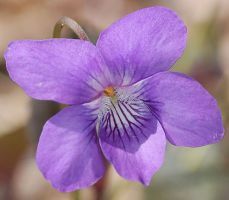 They have evolved in high mountainous areas and are generally hardy perennial plants that do well in well aerated soil. They have extensive root systems and due to their adabtability and hardiness they are planted in areas of the garden where other plants would not survive. Rock garden: Rock garden plants are, as a rule, grown in naturalistic gardens. They are normally grown around and amongst rocks. 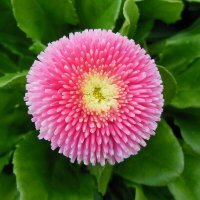 They are compact in size and many originate from mountainous regions of the world so are quite winter hardy. Bog: These are plants that need a minimum depth of soil to root. In other words they enjoy wet feet. These plants are either decorative or food producing plants and thrive in conditions where they are surrounded with water and are exposed to direct sunlight for much of the day. 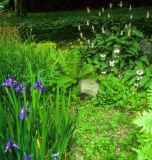 Some of the plants in this category produce lush greenery that is ideal for use in water gardens and similar settings. Others produce flowers or even fruit. Mediterranean: Plants are hardy and drought tolerant with a wide range of foliage and form. Coming from barren, sunny hillsides, they do well in relatively dry conditions and in poor soil. Look great used individually or in combinations.. Tropical: Plants are plants that originate from the tropical regions of the world and hate cold. Many of these plants have very vivid flowers which gives them a wide appeal. 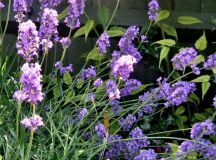 Many also very richly scented which makes them even more appealing to many people. Kept in warm and humid conditions the flowers and foilage of these plants are also very long lasting.